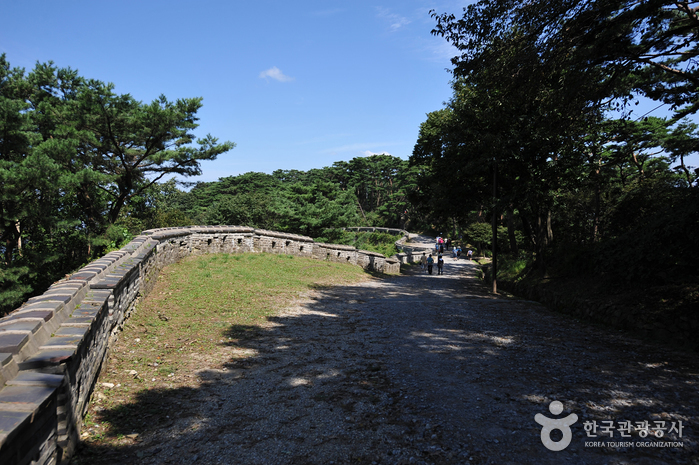 Namhansanseong Provincial Park is a unique fortress city built during the Joseon period with the purpose of functioning as an emergency capital. Built in the early 7th century, the well-preserved castellation techniques, which were influenced by the styles of China and Japan, greatly raise the historical and cultural value of the fortress. The fortress has four gates and munru (2-story houses built atop the gates) in the north, south, east, and west directions, and held soldier barracks and warehouses, as well as a temporary palace. Major cultural assets include Sueojangdae, Janggyeongsa Temple, Haenggung (temporary palace), Sungryeoljeon Shrine, and Cheongryangdang Shaman Shrine. 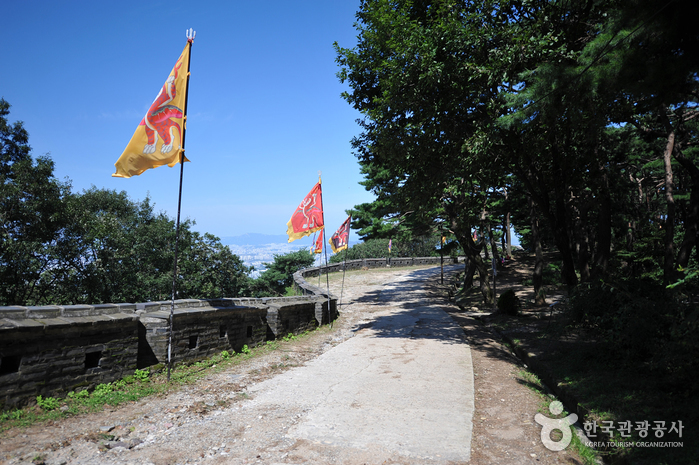 Out of 4 posts erected, Sueojangdae is the only remaining structure and sits on the top of the highest point of the fortress on Iljangsan Mountain. 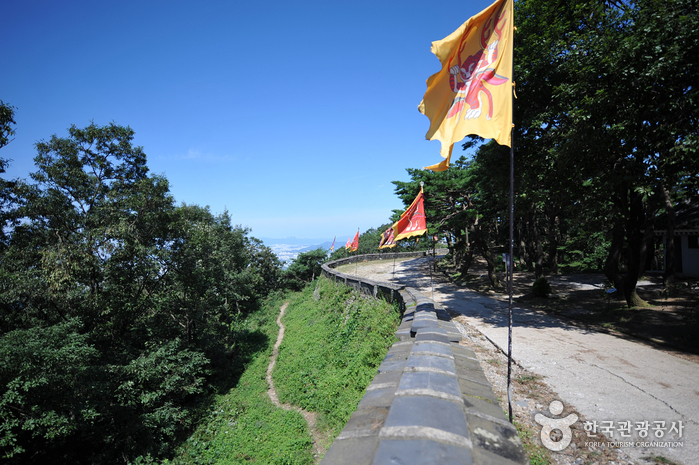 The Namhansanseong Fortress Defense Command was organized during the Manchu Invasion in 1636. King Injo himself helped to direct and encourage the troops from here, and they managed to hold out for 45 days against the Qing force. 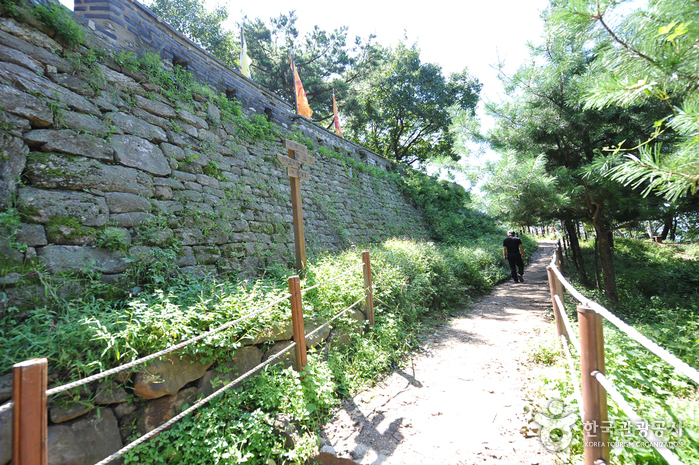 Janggyeongsa Temple, built in 1683, was where the monks who were helping to build the fortress stayed. The temple is a cultural asset showing the great dedication the monks of Joseon era had in serving their nation. The temple is the only place that was preserved out of the nine temples that were built by the Buddhist Army, also known as Seunggun in Korean. 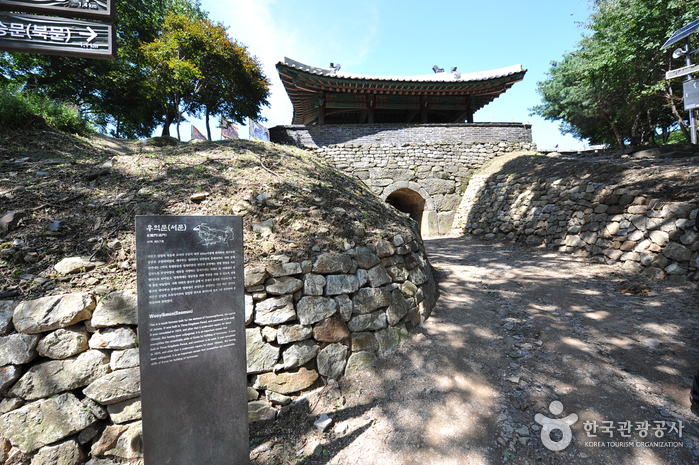 The temporary palace of Namhansanseong Fortress was constructed to serve as a shelter for the royal family and an emergency capital city during wartimes. Unlike other temporary palaces, it was a self-sufficient defensive fortress where the local administrative center was placed within the fortress along with a royal ancestral shrine and altar. 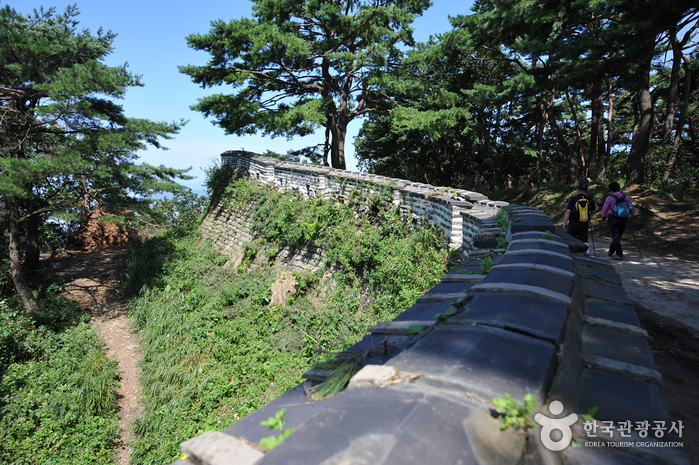 Sungryeoljeon Shrine was built in commemoration of the founder of the Baekje Kingdom, King Onjo and General Yi Seo, who was in charge of the construction of the fortress. These two leaders are enshrined together here, and sacrificial rites are held to their spirits whenever there are big events related to the fortress.